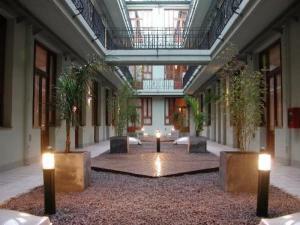 Tribeca Buenos Aires Apart, Buenos Aires discount hotels and accommodation. Tribeca Buenos Aires Apart offers 35 full equipped apartments of 70 m2 in one or two rooms, you can find the comfort and the services that you need to make a your stay a real time for pleasure.Our hotel is located in the City center of Buenos Aires, it is guided toward men and women of business, as well for tourists who want to enjoy a city full with attractions. View photos, room descriptions and make online reservations at Tribeca Buenos Aires Apart. Save on room prices at Tribeca Buenos Aires Apart, Buenos Aires.